The Bund (外滩; Waitan) is a wide avenue with one side along the river, making a long and beautiful promenade. You will get the impression that this walkway is full of people for 24 hours. Parents with children, young people in groups, tourists with cameras, business people and all the others enjoy the beautiful view and calmness of the places during the day. When the night comes and the lights turn on, with no light bulbs, but rather lanterns, the crowd is not less, but now it is dominated by youth who usually decide to have fun on this place. The specificity of the Bund is that it has retained all the architectural styles that have alternated during the past 200 years – Gothic, Renaissance, Baroque, Neo-classical, of course, with recognizable elements of Chinese architecture, rich facade decorations, illustrations and colors. From this place today there is a fantastic view of the wonders of Chinese architecture, a symbol of greatness and power of the Chinese state – the new Shanghai, which has taken the name Pudong, which used to be the name of the former marshes and a small fishing village set on the same place only around 20 years ago. From this place, you have the opportunity to enjoy in a mixture of the three cultures and historical periods: Chinese, European, and Modern. Hongkong and Shanghai Banking Corporation (HSBC) Building (Bund No.12)) as it is today was finished in 1923, and at the period it was considered to be one of the most luxurious and most beautiful building. It was built in the Neo-classical style, and the interior is dominated with marble and monel. It has a floor area of 23,415m² (252,037ft²), and today it houses the Shanghai Pudong Development Bank. 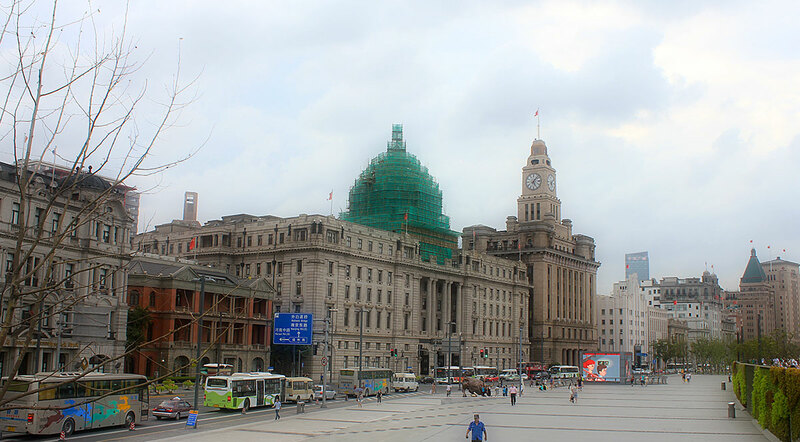 Customs House (Bund No.13) was originally named Jianghai Custom House, and together with the previous building, it stood as the symbol of the Bund. It was built in 1927 and occupies an area of 5,722m² (61,591ft²) with eight storeys. Neo-classical style also dominates, and as such, it resembles some of the most famous architecture of Greece. Russo-Chinese Bank Building (Bund No.15), being similar to the previous two buildings regarding the luxury and dominating Neo-classical style was built in 1901. Today it serves as China Foreign Exchange Trade Centre, it covers an area of 1,460m² (15,715ft²), and it is three storeys high. Bank of Taiwan Building (Bund No.16), now the China Merchants Bank was built in 1924 and covers an area of 904m² (9,730ft²). Though it has some elements of the Western style, just like the previous buildings, it also combines Japanese architecture elements. Chartered Bank Building (Bund No. 18) was built in 1923 and it is a combination of different styles, such as Neo-classical with the combination of floral motifs, resembling the Oriental style, with Lions’ heads to symbolize the British nationality, and Roman marble mosaic covering the floor. Sassoon House (Bund No. 20) was built in 1929 and today it represents the North Building of the Peace Hotel. It occupies and area of 4,617m² (49,697ft²), with total height of 77 meters, with 13 floors and a basement. The roof of the building is in pyramided shape. Bank of China (Bund No. 23), with an area of 50,000m² (538,195ft²), consists of two buildings, and it was constructed in 1937. The east one is the main one, with total 17 floors, while the west has only 4 floors. Though its grand construction again resembles the western style buildings, some traditional motifs, such as flower paintings are present and perfectly fit the overall look. 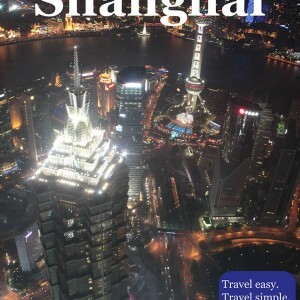 The Bund is very interesting during the day time, but in the evening it have a completely new, better atmosphere. Even if you spend a lot of time there during the day, it is still worth visiting this place at night.